ESCAPE into a relaxing Spa experience. Enjoy one of our many relaxing and rejuvenating treatments. Natural Healing Day Spa, is a North Carolina day spa and wellness center located in Banner Elk North Carolina that has been in business for over 20 years. We offer many spa and therapeutic services to help our clients achieve health and well being. Our services include massage therapy, facials, body wraps and scrubs, foot reflexology, and a variety of manicures and pedicures. 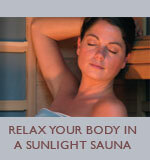 Our wellness and weight loss services include infrared sauna sessions. Join us for an hour a day or as a regular part of your health regimen. Click here for our packages and specials. Natural Healing Day Spa is open Monday - Saturday 10:00 am - 6:00 pm and additional hours available by appointment, Walks-in Welcome. Visit our North Carolina day spa store in person - we use and sell Youngblood mineral cosmetics, aromatherapy products and much more. Click here to purchase an Instant Gift Certificate. Gift certificates available for all of our services and specials. If you have any questions or are interested in scheduling an appointment, please contact us at 828-898-8400, email us, or use our online request form.